Hello everyone! My name is Cara. I started this project a long long time ago and released Part 1 two years ago.... I'm FINALLY getting to doing Part 2. I did decide to use a different cast than I used for Part 1 (with the exception of a few). Listed are the roles that are available and have not yet been casted. I have this project on BTVA and it's been on there a while but I am not getting very many auditions so I felt I'd give CCC a try! Good quality mics are a must!! If I hear background noise or any sort of fuzziness or static I'm sorry but I cannot cast you in this project. Thank you for understanding. If you have any questions you can message me since emails aren't allowed to be listed anymore. 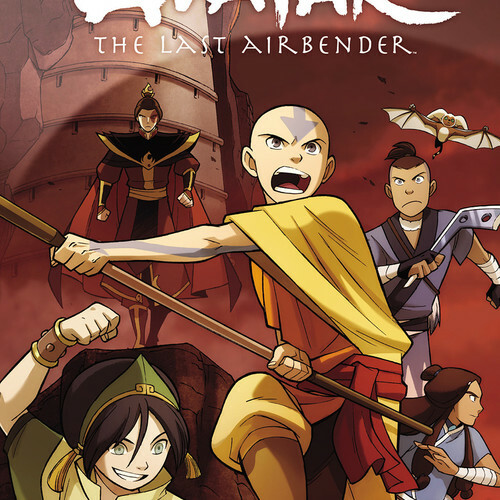 The Promise Part 2 is the second installment in The Promise trilogy, a graphic novel continuation of the Avatar: The Last Airbender storyline, originally released by Dark Horse Comics in collaboration with Nickelodeon on May 30, 2012, and later released with its counterparts in Avatar: The Last Airbender—The Promise Library Edition HC on February 20, 2013. 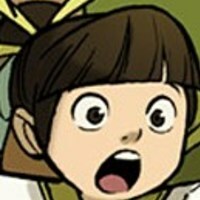 While Aang and Katara stay the night at a Ba Sing Se fan club dedicated to Aang and his Air Nomad culture in wait for their audience with Earth King Kuei, Toph takes Sokka to her metalbending school, only to discover that Toph and her students are being evicted by a firebender with plans to use the building to teach other children his bending art. Meanwhile, Zuko seeks advice from Ozai in concern of the colonial peoples' plight, a decision that, coupled with Kuei's change in perspective, may pit the Fire Nation and Earth Kingdom against one another once more. Aang is the avatar as well as the last airbender. He is fun and playful and very laid back. He always puts others before himself and tries to look on the bright side of things. His voice is young and high, sounding a lot like it did in season 3 of ATLA. Nice to meet you both! I'm Aang! My lemur's name is Momo. Wow! An airbender's flute! Monk Gyatso used to have one just like this! *worried* We have to get back to Yu Dao...The sooner the better! 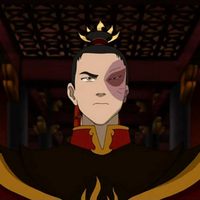 Zuko, now being the Fire Lord, has to work with Avatar Aang to restore balance to the world. He is faced with tough decisions, being influenced by his father before him. His voice is raspy. 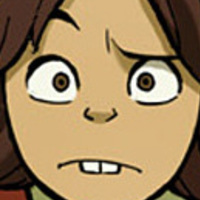 Dante Basco has a very unique voice and I'd love if someone could try and imitate it as closely as they can. *serious* I came here looking for advice. I want to know how you were able to sleep peacefully in spite of the pressures of the throne. *angry* No! Right and wrong are bigger than me, or you, or even the Avatar! And I believe that the Avatar, the Earth King, and I can come closest to what's right by working together! I know I keep screwing up. But please ... I ... I love you, Mai. The Dark One is one of Toph's metalbending students. He always complains about how he hates everything. He's very dull and never smiles. Why should we listen to you? You're not a bender! This is ridiculous. 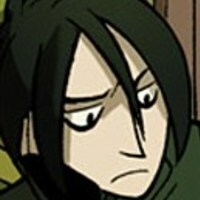 I know that's you in there, Sifu Toph. 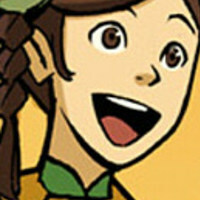 Penga is one of Toph's metalbending students. She's very hyper, spoiled, and obsessed with shoes. Oh, my boyfriend's so silly sometimes! Everyone in the Earth Kingdom knows that the white flying boar is the Beifong family symbol! You better buy me shoes to make up for this! 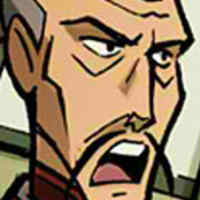 *angry* I'm sick of hearing about doom! I'm not practicing with you anymore! 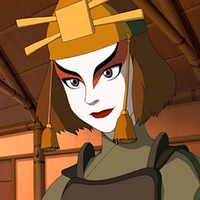 Suki is Sokka's girlfriend and also a Kyoshi Warrior. She is caring about her friends and skilled with fighting. Her and the Kyoshi Warriors are now guards for Zuko. 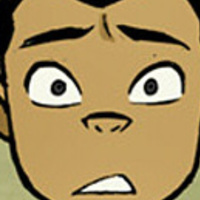 The Kyoshi Warriors are really worried about you, Zuko. I'm really worried about you. 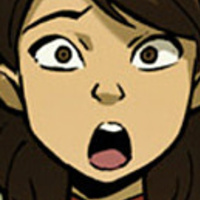 Mai is Zuko's girlfriend. She's skilled at fighting but not very energetic. She sighs a lot and doesn't seem to like many things. I know you've been secretly meeting with Ozai. 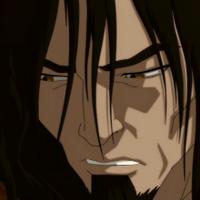 *angry/upset* Zuko, what is your problem? 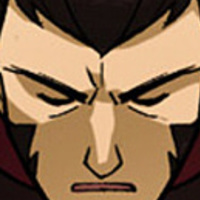 Ozai is Zuko's father and the previous Firelord. After Aang defeated him, he's been in prison. Zuko visits him often and asks for advice. He has a very low deep and evil sounding voice. You sicken me, Zuko. Leave my presence. You are the Fire Lord. What you choose, by definition, is right. 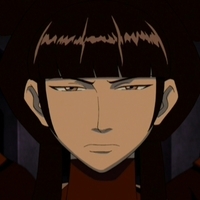 Kunyo is a stubborn and rude firebending teacher who takes over Toph's academy. Greetings, enemies of Kunyo! Prepare to be roasted in the flames of your own defeat! Is this some kind of dirt-people trick?! Disciples of Kunyo, attack! Don't you dare stop, disciples of Kunyo! Never stop firebending! Never! One of Kunyo's firebending students. Hot headed and rude. For we shall roast you! In the flames of your own defeat! VALLEY GIRL who says "like" a lot and ends almost everything in a question. 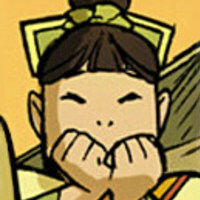 Super friendly and has a crush on Aang. Oh my gosh! Is that like...really you!? I'd like to, like, introduce you to somebody??? I'm Hei-Won, co-president and co-founder of the Official Avatar Aang Fan Club, Ba Sing Se chapter?? Friends with Hei-Won. Squeals excitedly A LOT. 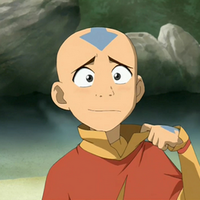 Has a huge crush on Aang. Fire Nation General who informs Firelord Zuko. A message has arrived from the Earth Kingdom! 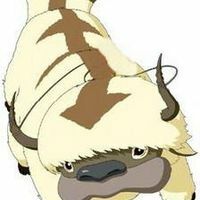 Aang's sky bison. Doesn't talk but if anyone could imitate Dee Bradley Baker's noises it'd be great!